BAINBRIDGE ISLAND, Wash. (June 11, 2015) – Redington continues to advance design innovation in its quality fly rods, waders, apparel and more, and that has never been truer than in its two new reel models, the BEHEMOTH and the Zero. 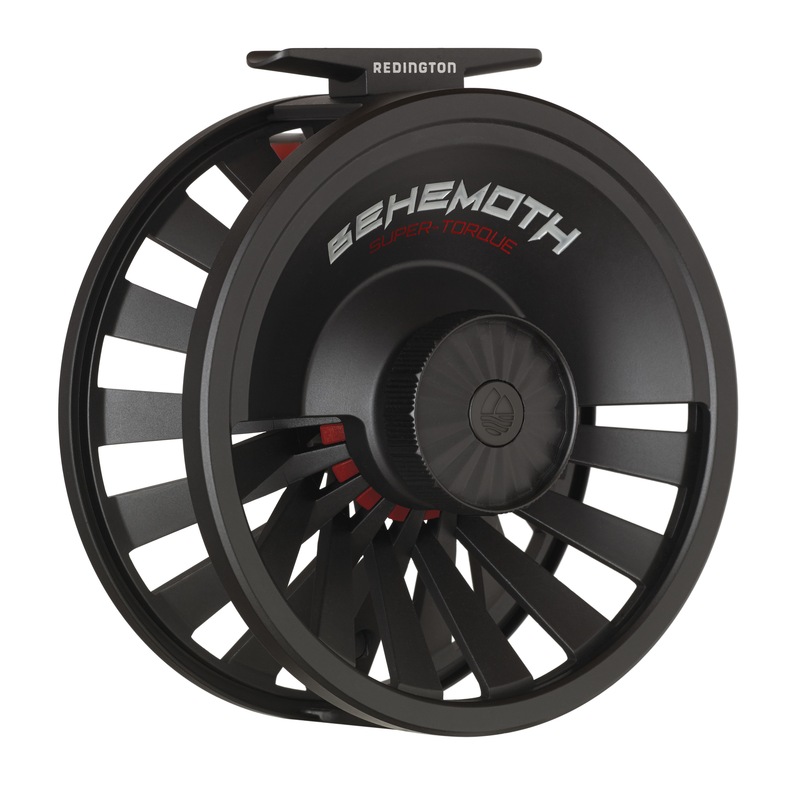 The Behemoth reels are the most powerful drag system fly reels in their class, offering over 30lbs of torque. They feature a diecast construction that is impossible to CNC machine, offering unrivalled strength and durability as well as a large arbor design to speed retrieve times and reduce line memory. The drag package features super-heavy duty carbon fiber and stainless steel braking discs for the utmost in reliability and power, and the oversized drag adjustment knob makes it very simple to access and adjust. The deep v-spool increases backing capacity for epic fish battles and a new twin molded handle improves grip and comfort. These reels are supplied with a nylon reel case and a lifetime warranty. Available in August 2015 for a retail price of $109.95 for the 5/6 and 7/8 and $129.95 for the 9/10 and 11/12 models. The Zero reels are the lightest aluminum diecast reels available on the global market thanks to distinctive, unmachinable die-cast construction and skeletonized design. The spring-loaded clicker drag system is constructed with minimal moving components to improve durability and ease of function and easily switches retrieve direction. The large arbor design reduces line memory and quickens retrieval times when fighting fish, and the new twin molded, soft-touch ergonomic handles improve comfort and ergonomics. These reels are supplied with a nylon reel case and a lifetime warranty. Available August 2015 for a retail price of $89.95. Redington brings fun to fly fishing. Redington designs gear that gets the most out of your time spent on the water and in the outdoors. From ready-to-fish reels and outfits to a wide selection of rods, reels, waders and apparel…Redington gives you what you’re looking for. Versatility that performs. Value you need. And, the quality you deserve. Please connect with us at www.redington.com, on Facebook, Instagram or on Twitter.